You just received your monthly credit card statements by email and are surprised about several transactions you don't recognize. After inspecting the details you come to the conclusion you are a victim of identity theft in which your credit card data was used to buy several expensive products on an online website without your authorization. Help! What to do now? The first thing to do is contacting your bank or credit card agency to immediately block your credit card and report the fraudulent charge. It’s your responsibility to find and report these charges as quickly as possible to minimize your liability. 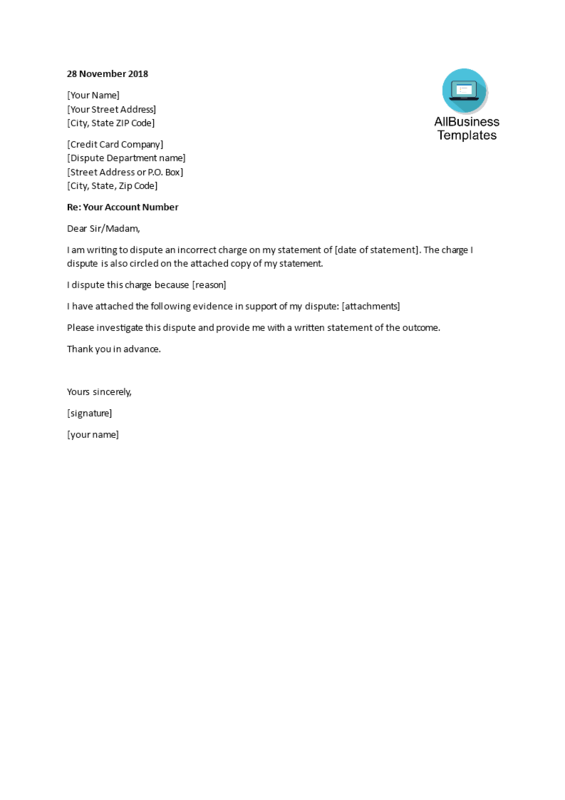 The sample letter can be included to formally inform the bank. Send this letter besides calling and emailing them just in case that at the end there is trouble with reimbursement.